DK Eyewitness Travel Guide: Vienna will lead you straight to the best attractions this beautiful city has to offer. Explore Schönbrunn Palace, experience the Prater, or simply spend a leisurely afternoon in one of the city’s traditional coffeehouses. Discover DK Eyewitness Travel Guide: Vienna. With hundreds of full-color photographs, hand-drawn illustrations, and custom maps that illuminate every page, DK Eyewitness Travel Guide: Vienna truly shows you this city as no one else can. 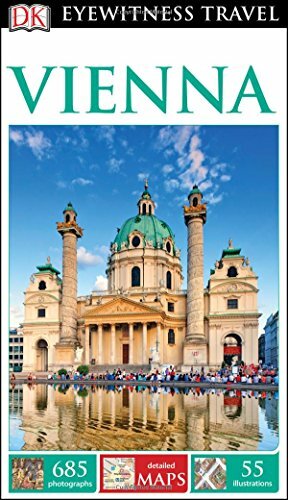 Recommended: For a pocket guidebook to Vienna, check out DK Eyewitness Travel Guide: Top 10 Vienna, which is packed with dozens of top 10 lists, ensuring you make the most of your time in the city.